I have a handful of favorite children’s authors/illustrators- Cynthia Rylant, Eric Carle, Gail Gibbons, and Lois Ehlert. However, my favorite author of all time is Patricia Polacco. Polacco came from a family of storytellers. 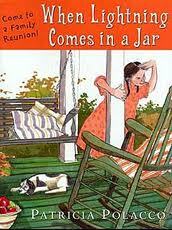 She used many of these childhood oral stories and her imagination to begin writing children’s books at age 41. Most of her books draw on inspiration from her own life and her rich cultural background. Polacco has written and illustrated over 50 books! Here are a few of my absolute favorites. Patricia Polacco didn’t learn how to read until she was 14 years old. It was a wonderful teacher who discovered that she had dyslexia. 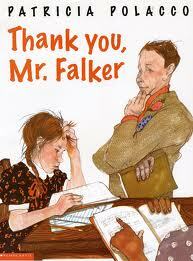 This book is a tribute to that teacher, Mr. Falker. This great teacher not only recognized that there was a reading problem and got help for Polacco, but also addressed a boy who was teasing this young girl because she couldn’t read. The book is a powerful story for children with reading problems and those that are being teased. It also makes a wonderful gift to a teacher who has made a difference in your life. As a child, Polacco feared Michigan thunderstorms. In this story, her grandmother distracts her with the idea of baking a cake during this type of weather. Polacco and her grandmother gather ingredients from the farm to prepare the cake. As they enjoy a warm slice of cake, grandmother points out that only a brave girl could gather all of the items from the farm during the loud thunder. At the end of the book is a recipe for Thunder Cake with one odd ingredient- tomatoes! Many of Polacco’s books have powerful messages which is one of the reasons that I love them so much. 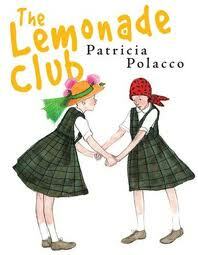 In The Lemonade Club, two 5th grade best friends are faced with a challenge when one of them is diagnosed with leukemia. They learn that when life gives you lemons, you make lemonade with the help of a teacher and an entire class. 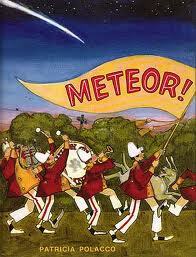 Meteor was Polacco’s first children’s book and is based on a true story. 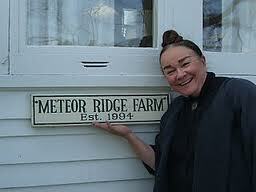 A meteor actually landed in the Michigan town where she lived! This funny story captures the magic that captivated the town over this event. When Lightning Comes in a Jar is full of text-to-self connections for me. Every year Polacco’s extended family gathered together and celebrated lots of family rituals that involved Jello dishes (I can relate!) and lots of stories while looking through photo albums. This particular year, grandma decides to initiate a new ritual of collecting lightning in a jar. This is one ritual that Polacco loved and continued to pass down to other family members. I hope you will check out one of the listed books or one of Polacco’s other 45 titles. I’d love to hear which ones are your favorites. Thank your for highlight Patricia Polacco’s books — she is among my favorites. She was very popular in the early 90s when my daughter was young. I’ve read all of the above books and probably sill have them packed in books my daughter saved. We were fortunate to meet Patricia many times at book signings and saw the original “Keeping Quilt” (my favorite) which she let the kids touch and exaine. She’s quite a storyteller. My second favoritte is Thunder Cake, and I still have the cake recipe. Used to make it all the time — it’s good! Again, a great post of one of my favorite authors. Thank you for highliting Patricia Polacco in your post today. I love her books as well and my students do, too. Even though many of her books were written many years ago, they still resonate with kids today. Might that not be the definition of a “classic”? 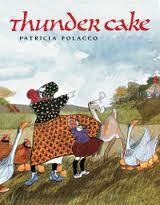 I teach children’s literature at FAU in Boca Raton and Patricia Polacco is one author that I highlight every semester. I love Junkyard Wonders – a sequel to Thank You, Mr. Falker. This book is especially meaningful for struggling readers. I need to check that one out. Polacco does make a great author study. I used her work often during writer’s workshop. Thank you for commenting.